Wednesday, October 15 at 7PM BookPeople Presents Novelist Rene Steinke speaking & signing her new novel, Friendswood We're excited to welcome Rene Steinke to BookPeople, where she will be presenting her latest, Friendswood, a novel about a tight-knit Texas gulf town. "This layered, propulsive, psychologically complex story is poignant proof that extreme public events, as catastrophic as they might seem, must almost always pale in comparison to the intimate personal experiences and motivations of grief, love, lust, ambition, anxiety, and regret." About Friendswood A big, moving novel of one tight-knit Texas community and the events that alter its residents' lives forever. Friendswood, Texas, is a small Gulf Coast town of church suppers, oil rigs on the horizon, hurricane weather, and high school football games. When tragedy rears its head with an industrial leak that kills and sickens residents, it pulls on the common thread that runs through the community, intensifying everything. From a confused fifteen-year-old girl beset by visions, to a high school football star tormented by his actions, to a mother galvanized by the death of her teen daughter, to a morally bankrupt father trying to survive his mistakes, Rene Steinke explores what happens when families are trapped in the ambiguity of history's missteps--when the actions of a few change the lives and well-being of many. Driving the narrative powerfully forward is the suspenseful question of the fates of four Friendswood families, and Steinke's striking insight and empathy. Inspired in part by the town where she herself grew up, this layered, propulsive, psychologically complex story is poignant proof that extreme public events, as catastrophic as they might seem, must almost always pale in comparison to the intimate personal experiences and motivations of grief, love, lust, ambition, anxiety, and regret. About Rene Steinke Rene Steinke is the author of The Fires. 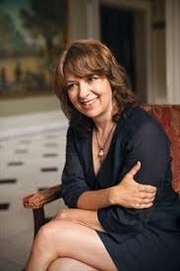 She is the editor in chief of The Literary Review and teaches creative writing at Fairleigh Dickinson University. She lives in Brooklyn, New York. In order to have anything signed at a BookPeople event, a copy of the event book must be purchased from BookPeople. If you purchase your book from BookPeople in advance of the event, please save your receipt and present it at the event. Thank you for supporting Rene Steinke and your local independent bookstore! Rene Steinke is currently considered a "single author." If one or more works are by a distinct, homonymous authors, go ahead and split the author. Rene Steinke is composed of 2 names. You can examine and separate out names.